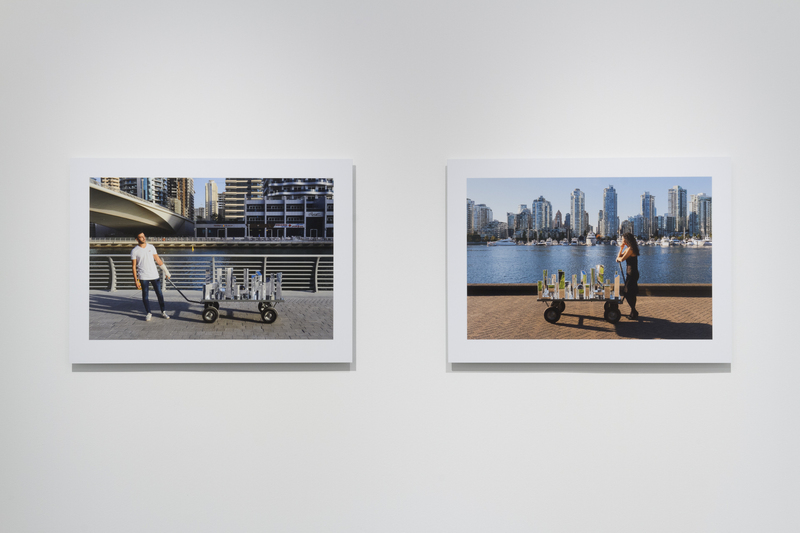 Maraya: Sisyphean Cart is a mobile ‘sousveillance’ cart that conducts a site-specific participatory spatial investigation of Vancouver’s False Creek and the Dubai Marina. 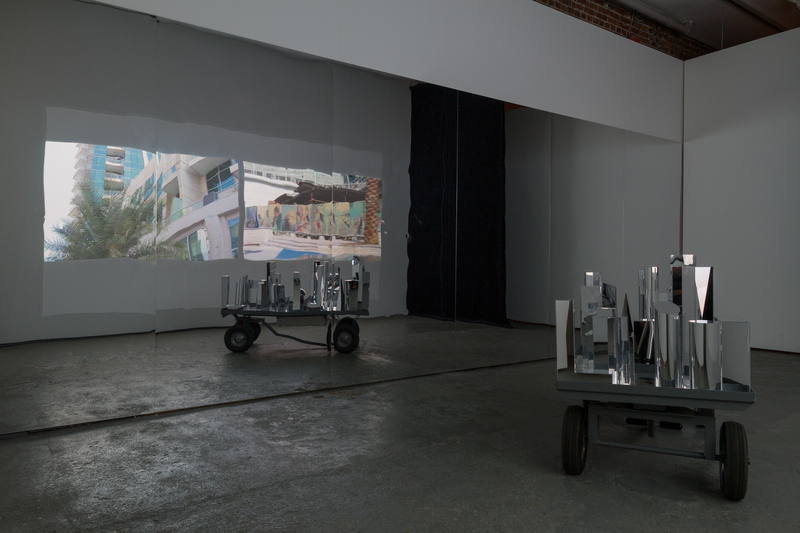 It premiered at the 20th International Symposium on Electronic Art (ISEA) in Dubai in November 2014, and completes its second leg for ISEA 2015 in Vancouver. This custom-designed hand-drawn cart is mounted with an automated pan-tilt-zoom (PTZ) camera and pulled along both waterfront seawall paths. Imagery produced by the skyscraper-facing camera will provide alternative perspectives on this built environment, from vantage points that intentionally torque a conventional street-view perspective. 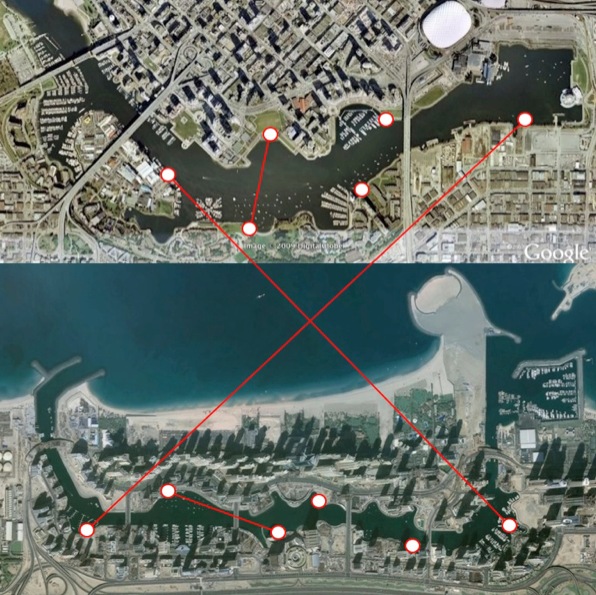 Through a custom designed program, the PTZ camera searches for connections, similarities and anomalies, generatively remixing its HD video capture with imagery from its doppelganger. 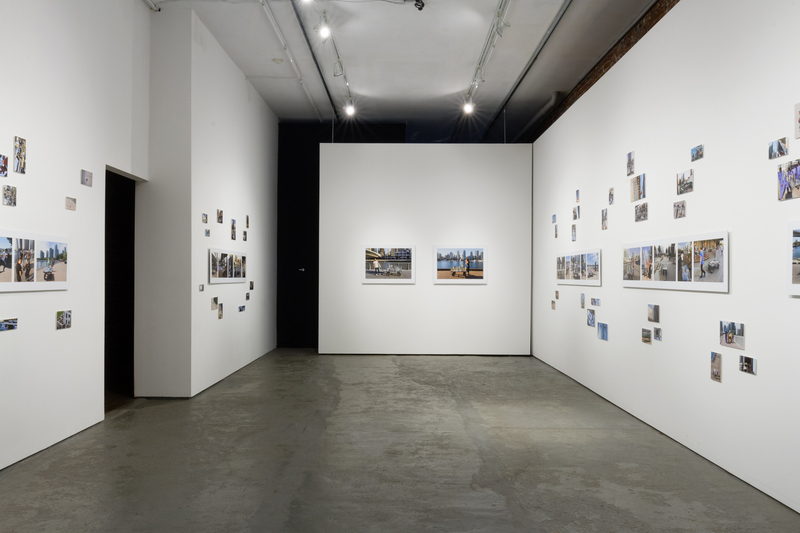 Archetypal architectural forms surround the camera, reflecting the master-planned urban landscape that in turn reflects the design and desire of lifestyle and capital that is so fluid and mobile in today’s globalized economies. 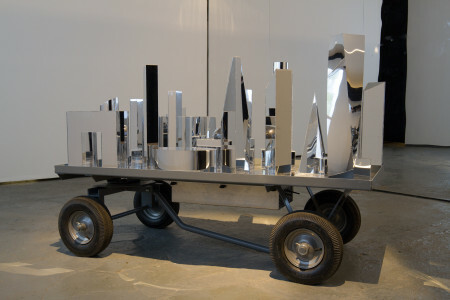 The cart itself, and significantly the pulling of it, invokes the spectre of labour — purposeful walking as a form of resistance to readily consumed images of idealized leisure — and the Sisyphean weight of this vision. Meaning mirror or reflection in Arabic, Maraya focuses on the building of Vancouver’s False Creek in the Arabian desert as the Dubai Marina. 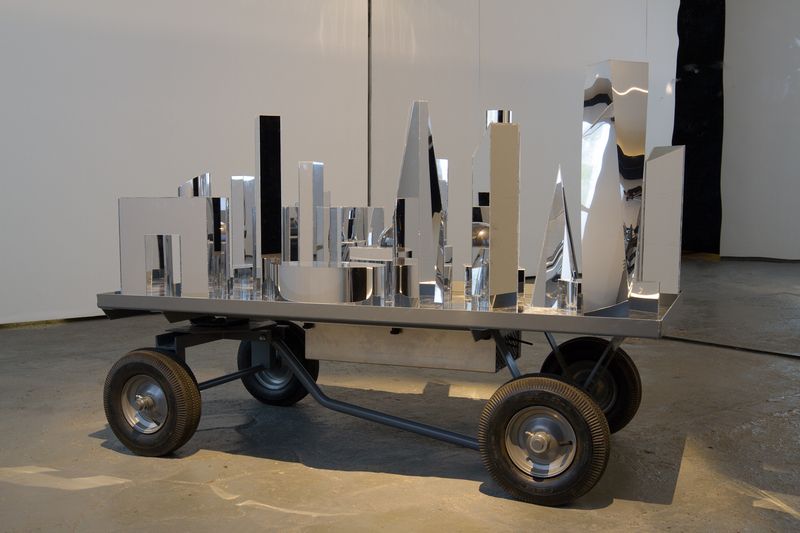 The Sisyphean Cart is the culmination of an ongoing investigation of these large-scale urban developments that share the same architects, engineers and urban planners by the Vancouver-based collaborative team of artists M. Simon Levin and Henry Tsang and cultural theorist/writer Glen Lowry. Previous projects by the Maraya project have included exhibitions at the Museum of Vancouver, ISEA2014 in Dubai, Art Dubai, Centre A, Vancouver International Centre for Contemporary Asian Art, outdoor projections and installations, public talks and walks, and an interactive Online Platform (marayaprojects.com). Maraya: This Mirror of That? This project is part of the 21st International Symposium on Electronic Art (ISEA).